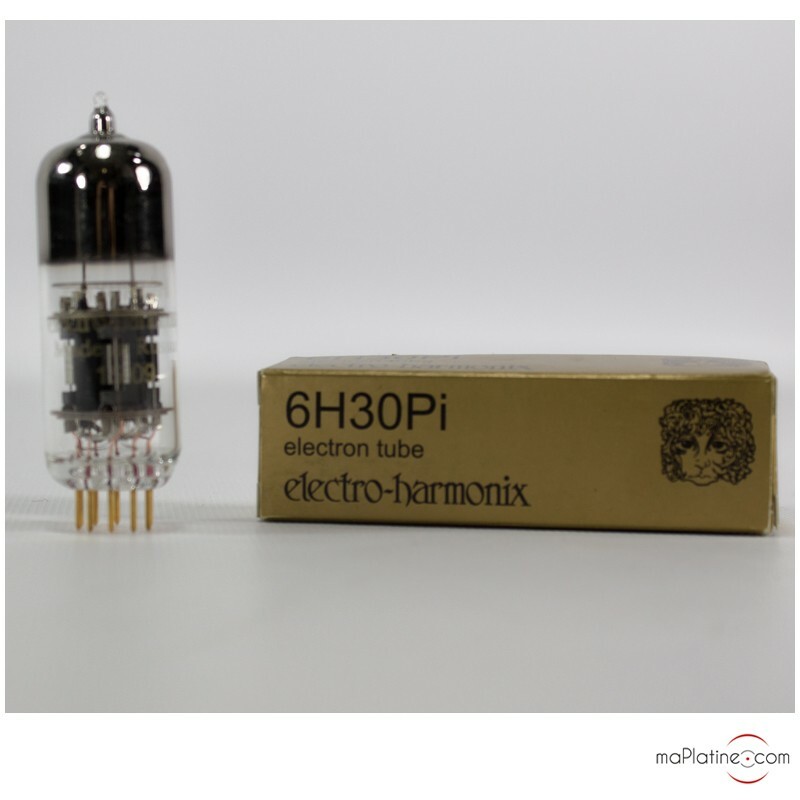 The 6H30Pi tube from Electro Harmonix is a twin triode often called 'Supertube'. 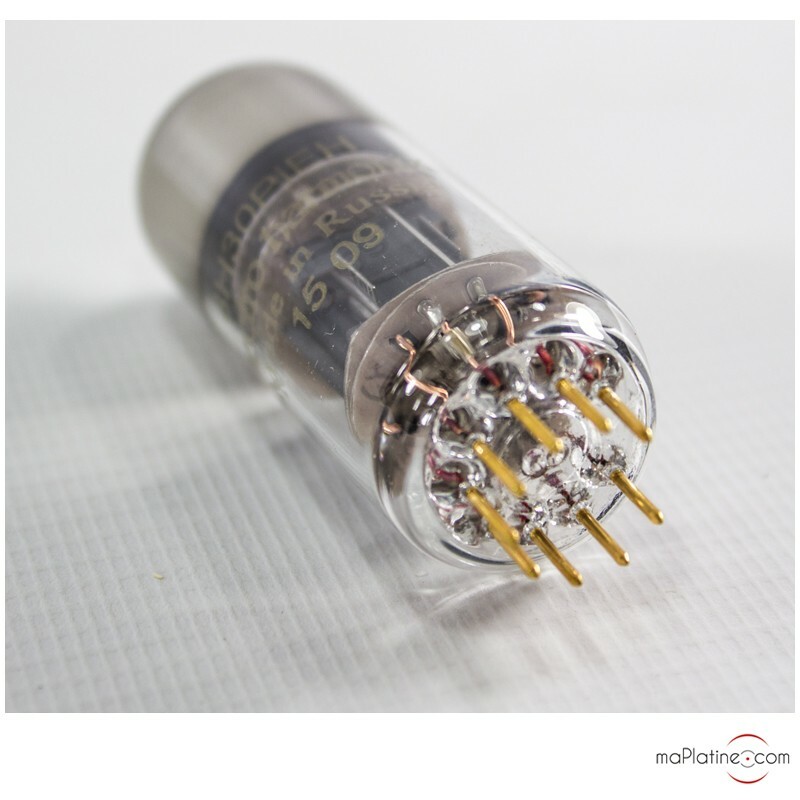 This tube has a plate resistance that is four times less than the 6922 from which it is derived. It also has a higher conductivity with a slightly lower gain than the 6922. It cannot be used as a direct replacement for the 6922. 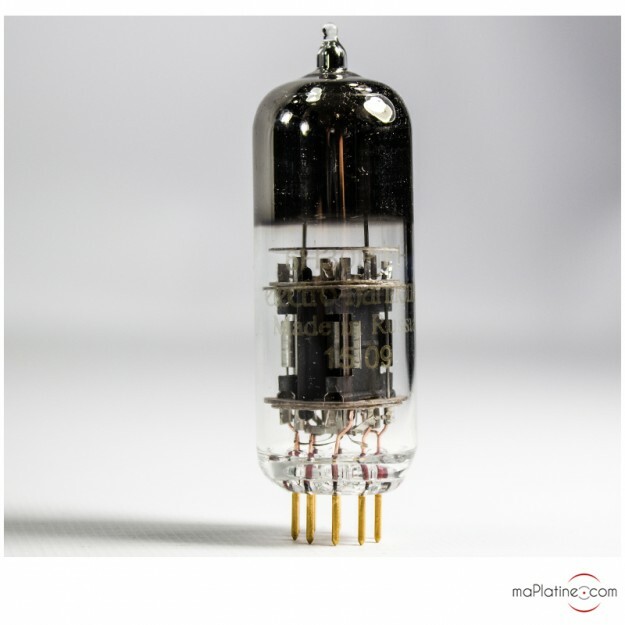 But Audio Research and BAT have developed exclusive circuits specially designed to get the best out of the 6H30 preamp tubes. Also note that this tube has a service life greater than 5,000 hours! Available here in a super silent variant (carefully selected by MaPlatine.com!) specifically designed for use in line and phono preamps. Here in "Gold" version with 24k gold plated PIN. An EAT Cool Damper can be added for increased performances. Super silent double triode vacuum tube. Variant of the 6922 in its long life version.